Edinburgh beckons for the improv group. The Imposters, from left to right: Ashlea Tulloch, Jill Charleson, Les Sinclair, Alex Garrick-Wright, Matthew Simpson, Thomas Jones and Marjolein Robertson. 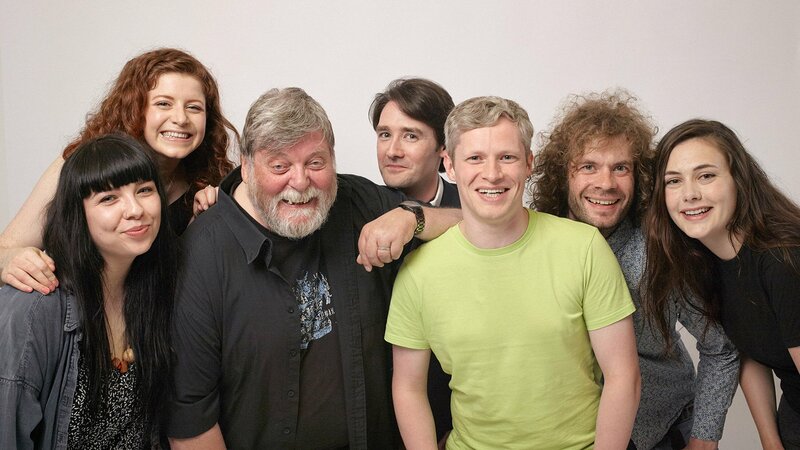 SHETLAND comedy group The Imposters have landed a slot at the first Edinburgh International Improv Festival. The group – comprised of Alex Garrick-Wright, Ashlea Tulloch, Les Sinclair, Marjolein Robertson, Matthew Simpson, Thomas Jones and Jill Charleson – will perform at the event on 10 February. The comedians are hoping to raise some extra cash for the trip by holding a raffle at their next improv night at the Lerwick Legion on 25 January. The show, which will follow the usual Whose Line Is It Anyway? – style format, will be founding member Marjolein’s last in Shetland for a while before she moves to the mainland to pursue more comedy work. “I am torn about my move to Glasgow. On one hand I am excited to get more stage time and more gigs in which to sharpen my jokes. Then on the other hand I will truly miss Shetland while I am sooth,” she said. The Imposters began life in 2015 and their improvised comedy means they make it up on the spot – often sparked from audience suggestions. Tickets for the gig at the Legion can be bought online here.